Kamran is a Director of the company and is based in Canada. Prior to this, Kamran has a consistent track record of improving profit at public companies, operating domestically and internationally. He is innovative leader skilled in strategic planning, financial management and business development, visionary with strategic analytical skills. Practical and creative with proven ability to solve difficult business problems. 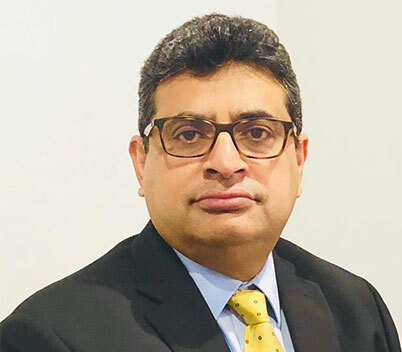 He also led Grant Thornton’s restructuring team and helped sick units in reducing their costs and helped them in corporate and financial restructuring. Kamran is an MBA (Finance) and BS (Accounting) from the US and has extensive experience with MRP system like SAP, PeopleSoft, MS AX, he also has extensive experience with other accounting systems such as QuickBooks. Kaman has previously worked with Grant Thornton, Canadian Tire, Lear Corp, Campbell, Kraft Foods/Mondelez, Maple Leaf, Mother Parker Tea, and Coffee. Kamran has extensive experience in Food sector, manufacturing, heathcare, textile and general trading. Business Formation, Business Development, Strategic Planning, Financial Management, Cost Reduction.